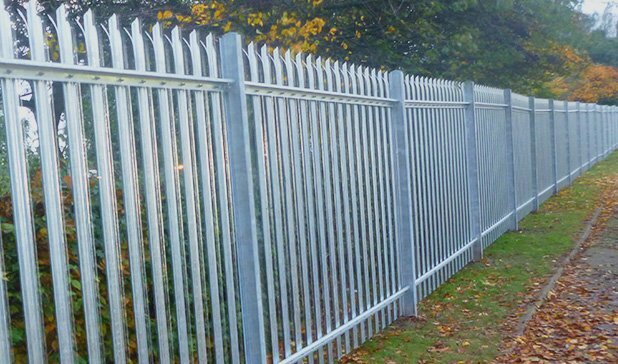 First Fence was established in 2010 and has fast become one of the front-runners of today's UK fencing industry. We manufacture and supply a wide range of Security and Temporary Fencing, as well as Traffic Management and Access solutions. Serving clients on a national and now international scale, we cater to a variety of commercial and industrial markets, as well as public sectors. When it comes to site security only the best will do. 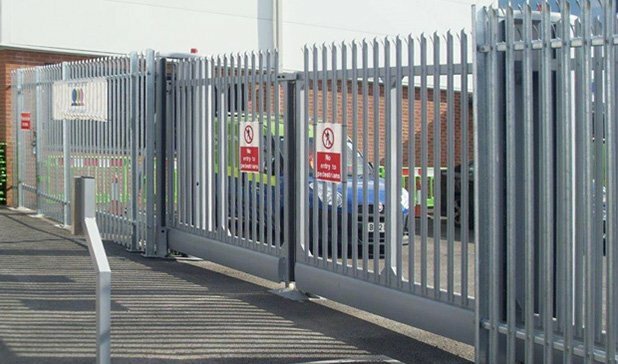 We offer Palisade Fencing, Mesh Fencing and Railing Systems, all manufactured from high quality galvanised steel and all available in a range of heights to meet the level of security that you reuqire. Temporary Fencing, Hoarding and Slot Block Barriers are designed to provide effective site security on a temporary basis. Made from high quality galvanized steel, our Temporary Fencing solutions are robust, completely reusable and a really great investment. 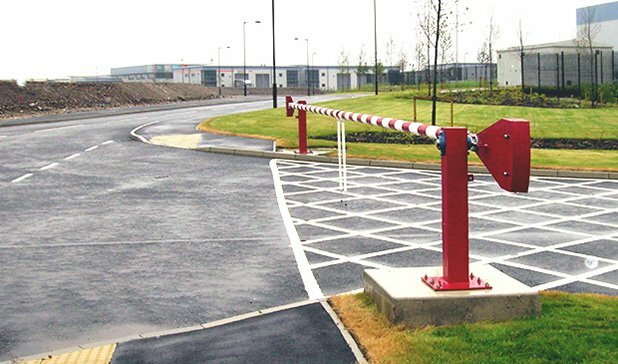 One of our most wide-ranging product categories, we can supply both permanent and temporary barrier systems. 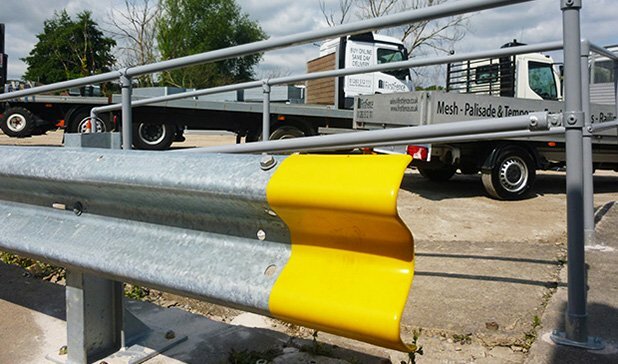 Whether you need to manage the flow of pedestrian traffic on a temporary basis or need a more permanent safety barrier structure, we can offer you a selection of high quality barrier systems to suit your requirements. With Automatic Barriers, Turnstiles, Sliding and Bi-folding Gates available, you can choose the automatic access control system that works best for you and your site. We offer a range of Trench Covers, Road Plates, Scaffolding and Health and Safety Signs which are ideal for construction projects. All made to a high quality and completely reusable, these construction site supplies are really worth investing in. Find out how First Fence Products can benefit your business. Businesses within the industrial sector are often at risk of theft due to the large holdings of stock and equipment left on the site. This means they will require a high level of security to combat intrusion and stay protected. We offer two permanent security fencing solutions that will effectively meet this requirement. The traditional steel Palisade Security Fencing system offers strength and intimidation like no other fencing solution. With it’s galvanised finish, spikes and anti-tamper fixings, the Palisade system will provide you with long-lasting, dependable security. Offering a contemporary style, the Mesh Security Fencing system is unique form of site security as it comprises of a clever woven construction which effectively stops intruders in their tracks. With a safer and more aesthetically pleasing design, Mesh Security Fencing is a system with wide appeal, offering both security and style. When you need to provide permanent security to a factory, industrial site, school, agricultural area, museum or yard, consider Palisade and Mesh Fencing. When planning an outdoor event, it is important to ensure that all the correct safety measures are in place when members of the public are at the venue. The management of pedestrian traffic is a key element of any large scale occasion, as visitors will need both guidance and protection as they travel through the area. We offer excellent temporary solutions that will successfully meet this requirement. Crowd Control Barriers are the most popular solution for pedestrian traffic management as they provide a sturdy, long-lasting and clear structure, which can be used time and time again. By assembling Crowd Control Barrier systems within your event, visitors will have the safety and direction they require to enjoy the day. Temporary Fencing is an extremely versatile short-term solution which is often used to prevent visitors from entering hazardous or restricted areas within the event location. 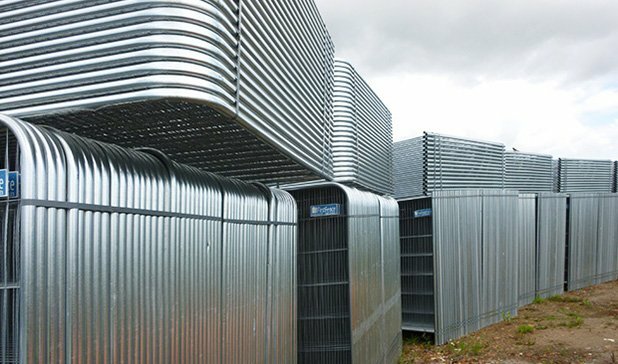 The robust, wind-resistant panels form a secure system which effectively indicates the boundaries of the site so any unwanted guests are kept out. When you need to provide effective pedestrian traffic management to a music festival, firework display, football match or exhibition, consider Crowd Control Barriers and Temporary Fencing. A strong and highly versatile structural system, Scaffolding is used to provide support and access during exterior building work. 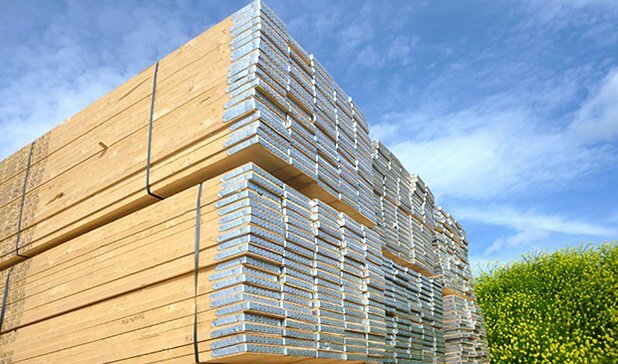 Consisting of galvanised steel Tubes and Fittings, along with sturdy timber Boards, Scaffolding is a durable temporary solution which is heavily relied upon within the construction industry. Providing excellent short-term site security and protection are the popular solutions of Temporary Fencing and Steel Hoarding. Both used to prevent intrusion and theft, these temporary systems are a recognisable staple of any building or construction site. The wind-resistant Temporary Fencing system offers a highly versatile structure, whereas Steel Hoarding offers a more heavy duty and private structure. When you need to provide safety and security during construction projects, housing developments or building renovation and repairs, consider Scaffolding, Temporary Fencing and Steel Hoarding. When road works are taking place, it is imperative that the flow of vehicle and pedestrian traffic remains constant and that hazards are clearly indicated to ensure a safe working environment. High visibility is a must when it comes to traffic management and we offer a range of temporary plastic solutions which successfully meet this requirement. Chapter 8 and Water Filled Barriers supply safety and separation from harm. Made from robust and durable plastic, these temporary barrier systems offer a practical, secure and customisable solution which can be used for multiple projects in various locations. Easy to assemble and transport, Chapter 8 and Water Filled Barriers really are a great investment. To enhance traffic management, high visibility Road Cones can also be used to help direct the flow of traffic and indicate where access is restricted. When you need to provide traffic management during road maintenance and construction projects, consider Chapter 8 Pedestrian Barriers, Water Filled Barriers and Cones. Public and domestic locations will often require permanent structures to provide pedestrian support or indicate the boundary of a location. It is important that these types of locations contain structures which are safe and sturdy, yet aesthetically pleasing, as these factors will be a key requirement. We offer two effective permanent solutions for public and domestic locations. Known for their decorative style, Railings provide effective boundary demarcation to help prevent unauthorised access and enhance the overall look of the location. Manufactured from high quality galvanised steel and with powder coating also available, Railings offer a versatile perimeter system which is designed to stand the test of time. Hand Rail is a cost-effective and adaptable system which offers support and assistance to pedestrians in a range of public and domestic locations. This versatile solution can be assembled to form a dependable system which meets your exact structural requirements, no matter where it stands. When you need to provide boundary demarcation or support to a private driveway, park, housing development or public footpath, consider Railings and Hand Rails.